It seems to be a trend these days that retailers are partnering up with high end consignment shops. We've seen Nordstrom partner with Fashion Project, Neiman's welcome The Real Real and now Intermix is joining the ranks and partnering with Material Wrld. The perks of Material Wrld are that you get the gift card without having to wait for your pieces to sell. 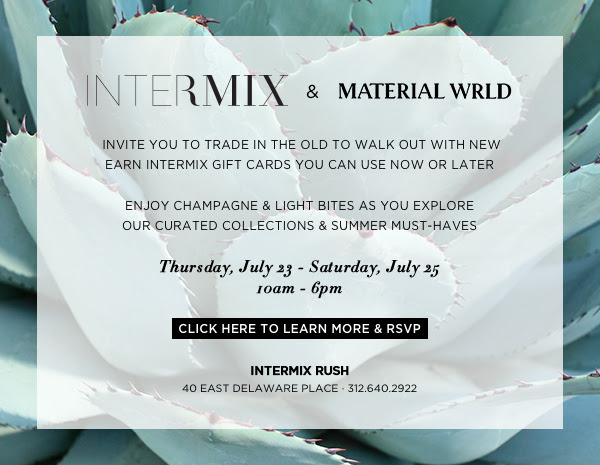 You also can choose other retailers with which to get store credit too but this fun Trade-in event is only happening this weekend at Intermix.